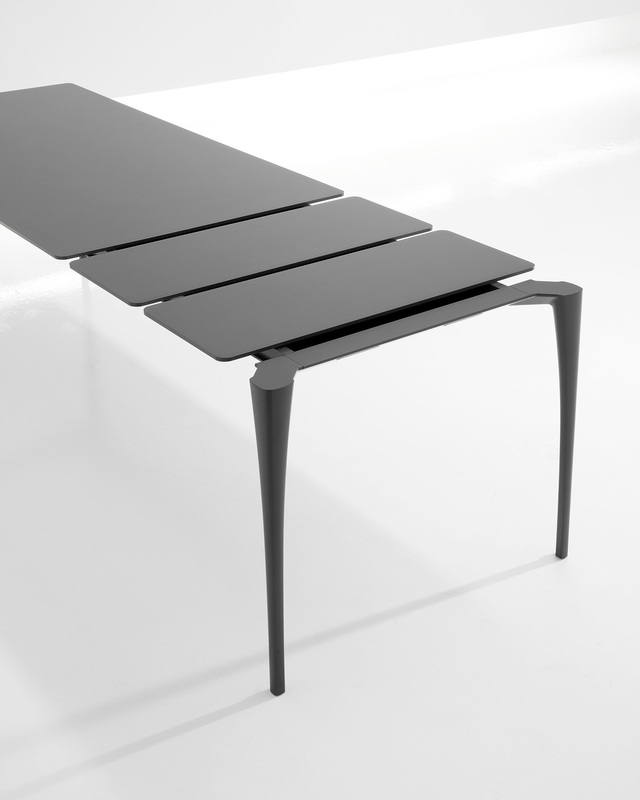 We had already designed several extensible tables before the brief from Bonaldo came, to design a new one for them (the system featuring fixed versions as well). 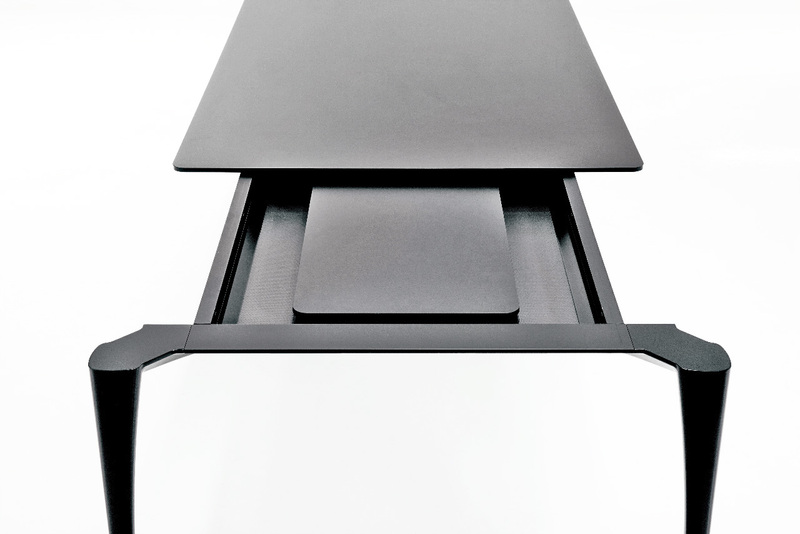 Our desire was to create something really aimed to their type of clients. 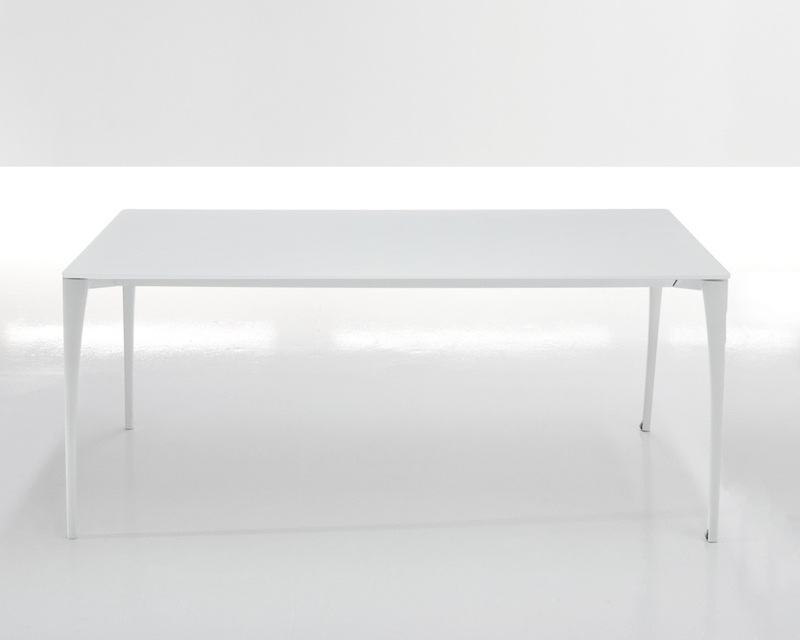 Extensible tables do involve a lot of technical features; we thought we had to blend technicism with a softer touch and not to use exposed technical features as a main design characteristic for this new table system. 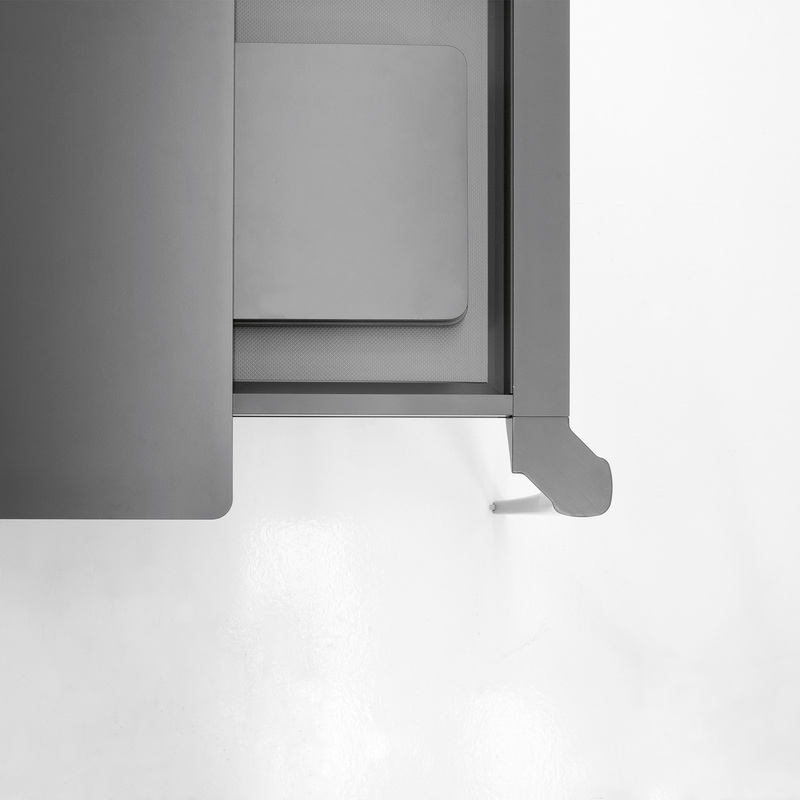 The solution we found was in the stretched curves and round edges of the moulded aluminium legs, which result in lightness and dynamic, the more when combined with the slim glass or honeycomb tops that we chose to use. 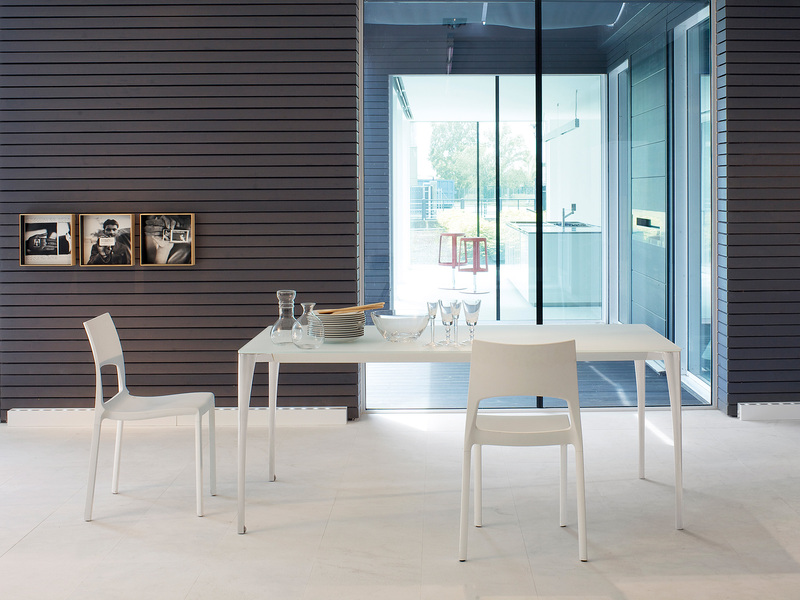 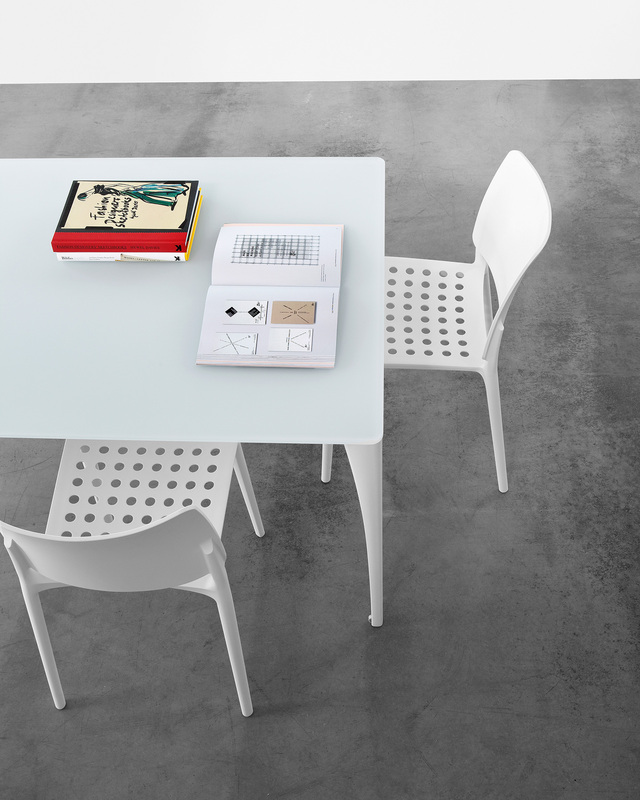 The Sol tables have a clean design but not rigid, easily mixable in pre-existing interiors of various sorts. 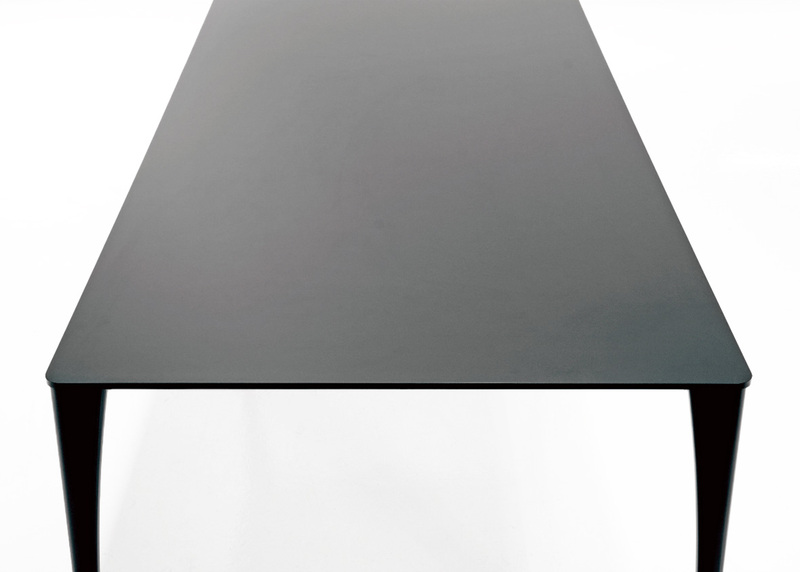 The balance we wanted to find here was so to support the customer in finding an elegant solution to his technical needs at a reasonable price. 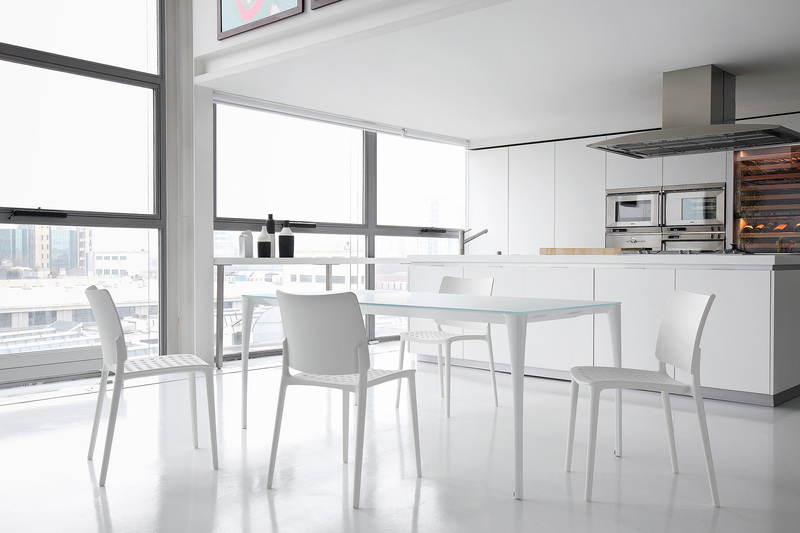 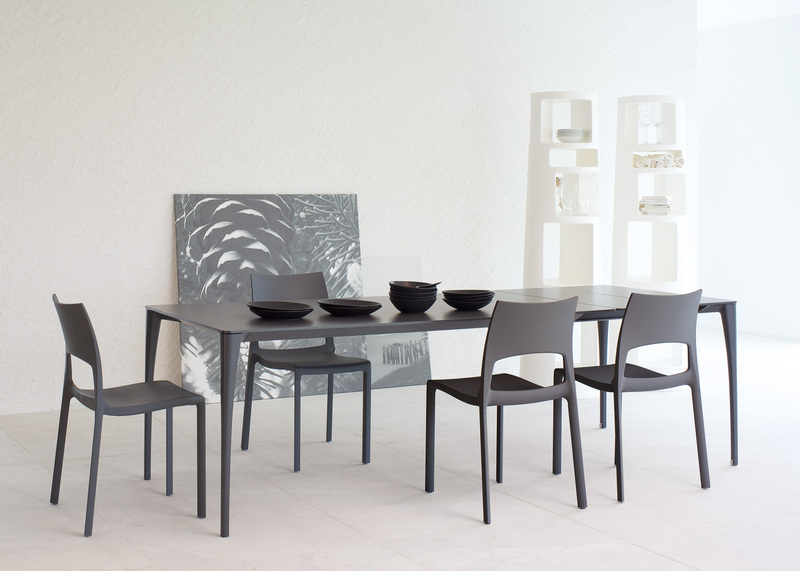 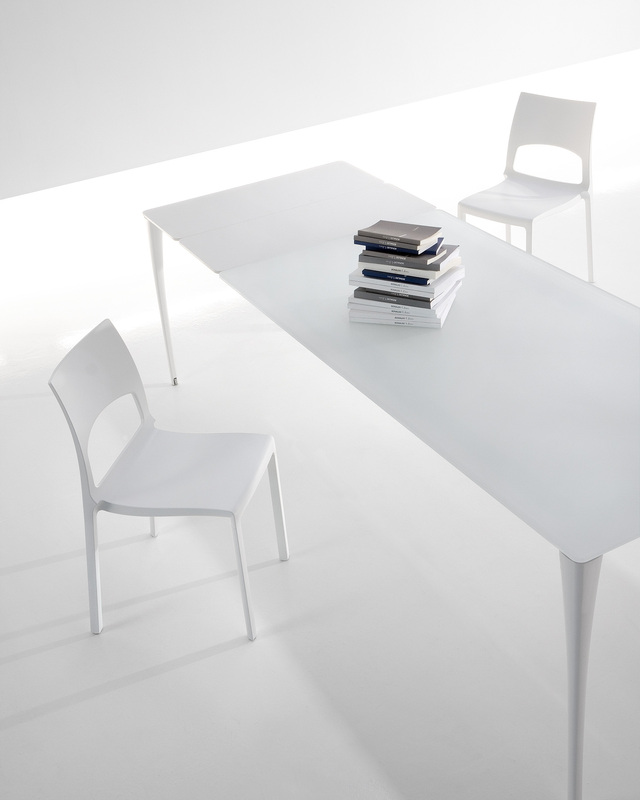 The Sol table received the “2010 GOOD DESIGN Award”.